Recipes included chocolate and peppermint cheesecake cupcakes, peppermint meringue cookies, and gingerbread candy cane latte. Sample recipe below. 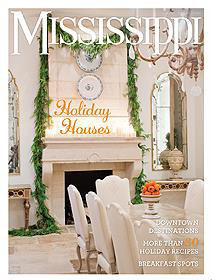 Click here for the e-dition of this magazine. Combine all ingredients in a medium saucepan. Bring to a boil over medium high heat. Reduce heat to medium low and simmer for 20 minutes or at least until the candy is melted. Strain liquid, discarding any solids. In a small saucepan, heat milk just until heated through. Froth milk with a frother or pour milk into blender. Vent the lid and frappe just until foamy. Pour coffee into two mugs. Stir 1/2 cup milk into each mug. Add simple syrup to each mug to taste. If asked about his childhood, chef and Mississippi native David Leathers likes to joke, “I had a dad that believed in child labor.” Beginning at eight years old, Leathers worked in the kitchen of his parent’s barbecue restaurant in Fulton, Miss. Leathers attributes the work ethic his father instilled in him at a young age as a contributing factor for his success later in life. At eighteen, Leathers left small town Mississippi to attend culinary school at the former Pennsylvania School of Culinary Arts in Pittsburg. He admits the move was a bit of a culture shock, but he would later go on to graduate at the top of his class. During his studies, an instructor gave him a bit of advice that would impact his career path. “This particular instructor told me to find a specialty that makes you different from all the other chefs,” Leathers says. He was inspired to take up food carving based on a book he owned by famous food sculptor Xiang Wang. When Leathers discovered that Wang taught classes at The Andy Mannhart Academy in Luzern, Switzerland, he enrolled himself and was on a plane to Europe. Where Pennsylvania was a culture shock, the young chef quickly fell in love with Switzerland. “It is a beautiful country,” he adds. “I didn’t want to leave.” He did face one unique challenge, however, that most students don’t usually deal with on their first day of class. Wang only spoke two languages – Mandarin Chinese and Swiss-German. While it may seem impossible to take instruction from someone who doesn’t speak your language, Leathers discovered that the language barrier wasn’t really a barrier after all. “It didn’t matter that we didn’t speak the same language,” Leathers recalls, “It was more important that I was able to observe him and see his instruction rather than hear it.” His experience would later inspire him to release three instructional DVD’s on the art of food carving. David’s talents have garnered several TV appearances, most notably on TLC’s Extreme Food Sculptures. During the show, Leathers constructed a life-sized sculpture of a woman in a masquerade mask to serve as the centerpiece for a charity ball in Louisiana. The entire piece took 72 hours to construct. Leathers eventually went on to launch his own brand of merchandise through his company Food Stylin. The product line includes T-shirts and his own line of kid-safe knives. Today, he frequently uses his talents to teach kids about healthy eating. He makes frequent visits to elementary schools throughout the year and hopes to combat childhood obesity by finding ways to make eating fruits and vegetables fun. Leathers believes that by allowing kids to be involved in the meal process, it will open them up to trying new foods. He hopes to be able to share his message with a wider audience through a children’s television show titled Play with Your Food currently in the works with PBS. You sit in a darkened auditorium. Music fills your ears as the curtains part. Elegant ballet dancers swirl across the stage in beautifully designed costumes. For a moment, you wonder if somehow you have been magically transported thousands of miles away to New York City. As the performance ends and the auditorium lights once again fill the room, you realize the performance you just witnessed took place right in your own backyard, in Jackson, Miss. In 1964, a group of local Jacksonians established the Jackson Ballet Guild to promote an appreciation of dance within the community and cultivate the talents of rising and aspiring local dancers. Fast forward almost 50 years later, the Jackson Ballet Guild has since transformed into the professional dance school and company now known as Ballet Mississippi. David Keary has served as artistic director for Ballet Mississippi since 1994. He began his training as a ballet dancer with the Jackson Ballet under the direction of the guild’s very first artistic directors, Albia Kavan Cooper and her husband Rex Cooper. Keary would later go on to complete his training at the School of American Ballet, one of the most famous classical ballet schools in the world and the official school of the New York City Ballet. As the golden anniversary of the founding of Ballet Mississippi approaches, Keary and his staff have begun preparing for a celebration to commemorate the momentous milestone. Although the official anniversary is not until 2014, a once-in-a-lifetime opportunity to host Stars of American Ballet presented itself as the perfect kickoff to next year’s festivities. Stars of American Ballet is a New York-based touring group of top ranking principal and soloist dancers hailing from many of the most prestigious ballet companies in the United States. The group travels across the country to cities where such a caliber of performance is not usually seen. Because the group’s schedule is rigorous and extensive, convincing them to make an unplanned stop is almost impossible. However, that’s exactly what happened. On November 3, Stars of American Ballet will showcase a series of performances, including four pas de deux by George Balanchine, co-founder of the New York City Ballet and its balletmaster for more than 35 years. Known as the father of American ballet, Balanchine is one of the most renowned choreographers in the history of dance. The troupe will also perform Jerome Robbins’s masterpiece Fancy Free set to the music of Leonard Bernstein. Robbins is well-known for his work as a producer, director, and choreographer for everything from classical ballet to contemporary musical theater. His most recognizable works include the choreography for the 1956 motion picture The King and I and 1961’s West Side Story, for which he received an Academy Award for Best Director. However Robbins’s original ballet, Fancy Free, is considered to be his most prolific work. The story centers around three sailors on leave in New York City during World War II. Both Balanchine and Robbins received Kennedy Center Honors, an annual award that recognizes individuals for their lifetime contributions to American culture through the performing arts. In addition to providing Mississippians with the opportunity to view a world class ballet, the works being presented have special significance to Ballet Mississippi. Albia Cooper studied at the School of American Ballet and was one of the first dancers to perform with Ballet Caravan and Ballet Society, companies both founded by Balanchine that would later become the New York City Ballet. She was also close friends with Jerome Robbins. In addition, Rex Cooper performed in the original 1944 performance of Fancy Free at the old Metropolitan Opera House in New York City. Immediately following the 4 p.m. performance at Thalia Mara Hall, a special gala reception – Sunday with the Stars – will be held at the Mississippi Museum of Art. Attendees will have the opportunity to meet the dancers and raise a toast to Ballet Mississippi, kicking off its 50th anniversary celebration. If you haven’t already made plans for this Halloween, consider forgoing the costume party and make dinner reservations instead. It’s common knowledge that Mississippi has its share of haunted houses, so it should come as no surprise that we have a few haunted restaurants as well. Whether the legends surrounding these establishments are true or not, that’s for you to decide. Just remember when ordering “spirits” from the bar, it may come with a little something extra. Weidmann’s Restaurant is one of Meridian’s most well-known restaurants. It opened in 1870 when the population of this city of over 40,000 people numbered less than 4,000. After 143 years in operation, it is the oldest continuously operating business in Meridian. It would be impossible to speculate how many people have come and gone through the doors of Weidmann’s during its long and enduring history. Henry Weidmann, grandson of the original owner, ran the establishment from 1927 until his death in 1956. He was known as a kind-hearted entrepreneur, extending business hours to accommodate railroad workers and even opening up the restaurant on Christmas Day to serve servicemen during World War II. It was Henry’s kindness that surrounds one of the restaurant’s legends. During the Great Depression, a young couple traveling through the state looking for work stopped into Weidmann’s for a meal. Henry picked up the tab, telling the couple it was an engagement gift. The couple promised to return on their first wedding anniversary, never to be seen again. No one knows exactly what happened to them, but restaurant staff claims to see the ghostly shadows of a young couple sitting at one of the tables. Doors have also been known to fly open, loud bangs are occasionally heard when nothing in the room is overturned, and footsteps can be heard walking around upstairs when no one is there. Travel down Washington Avenue in Ocean Springs, and you’ll spot an antebellum home dating back to 1852. Surrounded by stately 500-year-old live oaks, the house has served as the home of Aunt Jenny’s catfish for more than 30 years. However in a past life, the 160 year-old house served as a sanitarium, marketing its nearby mineral springs as having healing powers. The establishment’s most noteworthy ghost is that of a gentleman with dark hair wearing dark slacks and a white shirt sitting at the bar in the Julep Lounge. People who have seen the man claim he is drinking beer from a can, even thought the lounge does not serve beer in a can. Patrons have also reportedly tried to buy a drink for the stranger, only to come back and discover he has vanished into thin air. Other ghostly sightings include a face in the second story window and a young girl playing with a ball. Lights flicker, faucets turn on by themselves, doors fly open, and footsteps can be heard coming from the second floor. While Cedar Grove Mansion Inn and Restaurant was built out of love, the house has seen its share of tragedy. Completed in 1852, the Greek Revival style mansion was built by planter and businessman John Alexander Klein for his young bride Elizabeth. The couple had a happy marriage and took pride in the upkeep of their home. During the Civil War, the home was used as a hospital for Union soldiers. Obviously, some soldiers likely died in the house from their injuries and perhaps their spirits remained. Later, the Klein’s 17-year-old son accidentally shot and killed himself on the back stairway. A daughter also died in one of the upstairs bedrooms, while two infants died in the nursery. Staff members and guests have both reported seeing the apparition of a young girl playing and soldiers dressed in Civil War-era uniforms have been spotted wandering the grounds. The ghosts of both John and Elizabeth reportedly enjoy checking on their guests and the smell of smoke from John’s pipe can occasionally be detected in the Gentleman’s Parlor. Built sometime in the mid-to-late 1700’s, the King’s Tavern is the oldest building in Natchez. The tavern was originally opened by Richard King, the tavern’s namesake. The King’s Tavern closed back in early 2012, but was recently bought by chef and Natchez native Regina Charboneau and her husband Doug The restaurant reopened in September 2013. The King’s Tavern is probably Mississippi’s most infamous haunted restaurant. Ask anyone who from Natchez and they can probably tell you about Madeline. According to legend, Madeline was a young maid who worked in the tavern and was supposedly also having an affair with Richard King. When King’s wife Esther discovered the nature of their relationship, the jilted wife reportedly had Madeline killed. The legend goes on to claim that many years later in the 1930’s, the remains of a young woman and two still unidentified men were discovered buried in the wall behind the fireplace. The only actual confirmed death in the house, however, is that of Elizabeth Postlethwaite, who died in 1860 and whose family owned the building for over 140 years. Staff and visitors to the tavern have seen full-bodied apparitions of a female walking throughout the tavern. Footsteps appear across freshly mopped floors. Jars come flying off the shelves, faucets turn on by themselves, doors open and close when no one is there, and chairs rock and move by themselves. After enduring the sweltering heat that comes with the summer months in Mississippi, and often lingering well into September, the slightest hint that autumn might be on its way usually creates a buzz of enthusiasm. Fall in Mississippi means colored leaves, football games, and the arrival of the Mississippi State Fair. Now in its 154th year, “The Fair” as it’s affectionately nicknamed, begins the first Wednesday in October and runs for twelve days. Anticipation builds in the weeks leading up to opening day as convoys of trucks hauling parts and pieces for rides with thrilling names such as The Zipper, Ring of Fire, and MegaDrop are spotted driving along the interstate headed to Jackson. Adults and kids alike start dreaming about their favorite rides, or if you are hungry, favorite fair foods. Fair food falls into a category all its own. Combinations that would never be considered acceptable outside the fairgrounds – such as deep-fried Oreo cookies or a hamburger patty sandwiched between two glazed Krispy Kreme doughnuts – are welcomed with open arms, or mouths rather, under the flashing lights of the midway. 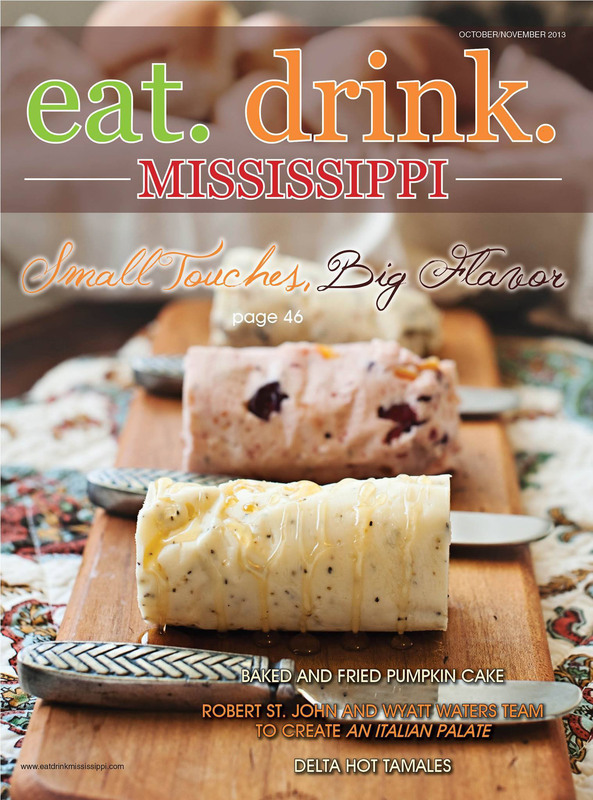 Mississippi’s fair boasts a mile-long midway offering just about any treat you could possible think of. If you are a regular, you are probably all too familiar with a few of these local favorites. If not, we suggest you stop by their booth and give them a try on your next visit. Penn’s red and yellow logo with its smiling catfish in a white sailor cap have been a familiar site across much of Mississippi for more than 45 years. Roger Penn’s fried catfish and chicken nugget establishment began as a drive-thru in Canton in 1967. Since then, Mr. Penn has seen his little restaurant spread to 10 corporate locations in the Jackson-metro area and nine franchises all over the state. Every year, Penn’s bring some of its popular menu items down to the midway, such as fried catfish, crawfish tails, popcorn shrimp, and fried green tomatoes. But hands down, their biggest seller is the chicken-on-a-stick. Chunks of white meat chicken are skewered with dill pickle slices and onions, dipped in Penn’s secret-recipe batter, and fried until golden brown. People wait in line for hours and after one bite, you’ll know why. Malone’s Taffy is loved by fair goers all across the South and parts of the Midwest. 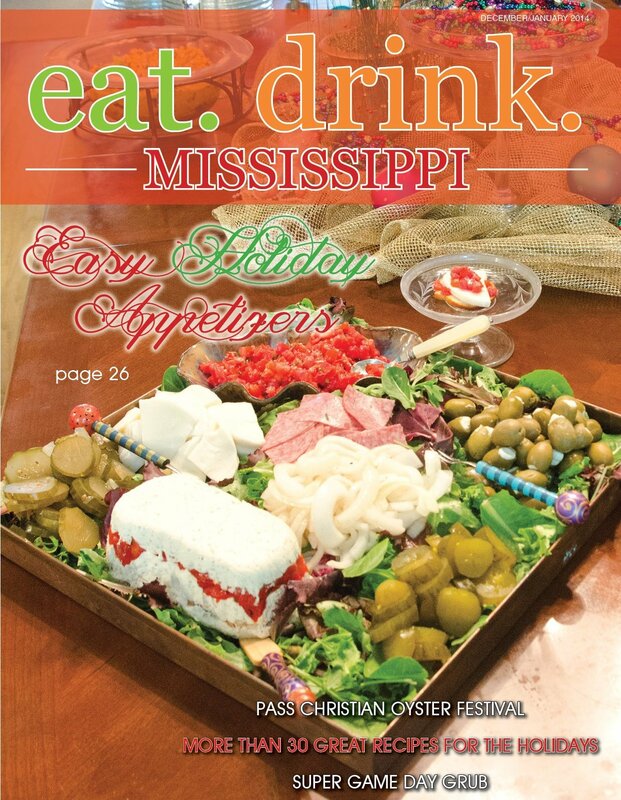 But the company that produces those fluffy, chewy morsels wrapped in waxed paper are based out of Byram, Miss. Founded by the Malone brothers almost 100 years ago, the original brothers sold the business decades ago. However, the candy company that still bears their name has been passed down through four generations. It was Mike Mooney, Sr., who brought Malone’s Taffy to the Mississippi State Fair. Mooney moved his family from Southern Illinois to Jackson in the early 1970’s and set up shop. Mike Mooney, Jr., took over the family business in 2004 and now oversees the daily taffy-making operations. From June to October, Mooney is hitting the state fair circuit, traveling through the Midwest as far north as Wisconsin before heading back home to serve up fresh, homemade taffy to the folks back in Mississippi. There is probably no food vendor more loved than the State Fair Biscuit Booth. Lines go on for miles as hungry patrons stand in line for a pillow-soft homemade biscuit filled with warm syrup. The best part? The biscuits are completely free. The Mississippi Department of Agriculture and Commerce oversees the Biscuit Booth every year. They are able to give the biscuits away at no cost through donations and a team of dedicated volunteers. Kroger donates nearly 7,000 bags of flour, while Borden supplies them with over 500 gallons of buttermilk. The shifts of volunteers – some of whom have been working the biscuit booth for years – work day and night and on weekends to make sure their supply doesn’t run out. It’s a sweet memory that has been passed down through the generations, and one you sure don’t want to miss. When hustle and bustle of life becomes overwhelming, there is no better escape than a quaint bed and breakfast. B&B’s offer a variety of exclusive amenities that you aren’t likely to find at other accommodations, such as personalized service, unique surroundings, and the ability experience a destination on a more intimate level. Because of Mississippi’s unrivaled hospitality, we invite you to get to know a few B&B’s that are sure to provide and experience that will meet every expectation. In order to experience the true flavor of Mississippi’s largest city and all it has to offer, The Fairview Inn in the historic Belhaven neighborhood of Jackson is the perfect setting. Built in 1908, this Colonial Revival mansion is Jackson’s only AAA four-diamond small luxury hotel. Peter Sharp and his wife Tamar purchased the Fairview in 2006. According to Sharp, hospitality “runs in his blood.” He began his career at age 14 and has worked in hotels and resorts all over the world. When the couple decided to purchase a bed and breakfast of their own, they looked at 14 different inns across the Southeast before agreeing that the Fairview was the right fit. The Fairview was already a fully operational B&B by the time the Sharps came on board, boasting eighteen guest rooms. Two months later, they opened Sophia’s Restaurant, a French-inspired fine dining restaurant with an intimate, romantic dining room in a garden-like setting. Recently, they transformed the house’s original library into The Library Lounge, where guests can enjoy unique cocktails, micro-brewery draught and bottled beer, fine wines, and healthy appetizers. Guests can relax in one of the inn’s luxury rooms or suites, each decorated according to a different theme and accented with period antiques and collectables. The expansive outdoor deck and gazebo, which overlooks The Fairview’s gardens, is the perfect spot to read a book or enjoy a glass of wine. However, for those that require some serious pampering, nomiSpa is right on the grounds and provides relaxing massages, facials, and manicures and pedicures. The Z Bed & Breakfast, known as “The Z” for short, is named after owners Annie and Brittany Zeleskey. The sisters purchased the house after moving to Oxford from Texas to attend The University of Mississippi. Opening a bed and breakfast was something the pair always dreamed of doing, but thought they would have to wait until later in life to fulfill their dream. However, as graduation neared for Brittany and Annie prepared to begin her senior year, the sisters contemplated whether they should turn their dream in a reality. The Zelesky’s completely renovated the 54-year-old, 1900-square-foot cottage. It features three bedrooms, each with a private bathroom; full kitchen; wood floors; and beautiful modern décor. Upon check in, guests can expect to receive homemade goodies and sweet tea. If the weather is nice, relax in one of two front porch swings or cozy up to a warm fire in the backyard fire pit. The home is within walking distance of historic downtown Oxford and less than a mile from the Ole Miss campus; however, if you want to travel a little further, the inn also includes two bicycles in its list of available amenities. The Zelesky’s also provide a full homemade breakfast as well as wine and cheese in the evenings. While they accept reservations with as little as 24 hour notice, they do point out that football season and summer orientation are their busiest times. From the moment Chase and Erin Moseley laid eyes on the 1920’s mansion that would later become their bed and breakfast, the grand old house slowly weaved its way into their lives and their hearts. 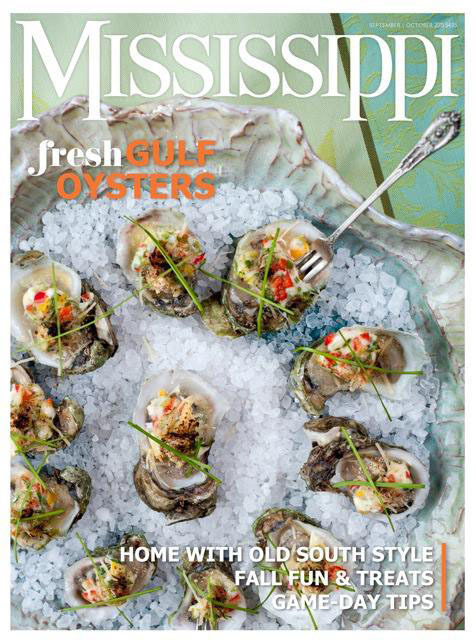 A native of Meridian, Chase Moseley always had a fondness for the Mississippi Gulf Coast and dreamed of owning a home on or near the Gulf of Mexico. The couple toured the house and the adjoining property, which had been on the market for several years, but decided the mansion would be more of an undertaking than they were will to invest at the time. A few years passed, and in the fall of 2007 the Moseley’s began to hear rumors that the mansion was going to be torn down to make room for residential development. “I decided it was time I either saved the house by buying it myself, or never drive down Menge Avenue again,” Mosely said. The Moseley’s immediately began a series of much needed renovations and repairs. The main house officially opened the following summer with five luxury suites, each with its own private bath, gas fireplace, and period furnishings. Each suite is named after a famous Mississippian, such as William Faulkner, Tennessee Williams, and Nicholas Christian L’Adnier – the town’s namesake. Later, the two-bedroom carriage house was opened followed by three suites in the Maison Portage. The 12-acre property also features well-manicured gardens, a gazebo, pergola, two fountains, quaint chapel, and a 25 ft. x 55 ft. swimming pool — the oldest in-ground swimming pool in Mississippi. “We like to say that Oak Crest is where history meets luxury. Because the house had such a long standing history in the community, we tried to maintain the original architecture of the home while integrating it with modern amenties,” explains Mosely. The Court Square Inn in Holly Springs is another example of how a historic building has gained new life. The Italianate building dates back to 1865 and began as a small town pharmacy. It would later earn the distinction of being Holly Spring’s first soda fountain. When Tim and Lisa Liddy bought the building in 2004, it was being used as storage by the current owners. The Liddy’s purchased the property without really having any concrete plans as to what they were going to do with it. It was Liddy’s brother-in-law that suggested the couple turn the building to a bed and breakfast. After three years of renovations, the Court Square Inn opened its doors in January 2007. The inn features three luxury, apartment-style rooms. Each has its own private bath and kitchen with views of the Marshall County Courthouse and Holly Springs town square. The building also features a second-story balcony where Liddy says guests enjoy relaxing on a warm evening or sipping a glass of wine. One and two bedroom units are available, making it perfect for a girl’s weekend or romantic getaway. Holly Springs is also just a short drive from Oxford and the University of Mississippi, making it very popular during football season. When John Lynch and his family moved to Brookhaven in 1995, he had a strong desire to become an active member of his new community. A history enthusiast, Lynch became interested in preserving Brookhaven’s historic town square. In early 2011, he purchased a two-story, 12,000-square-foot building in downtown Brookhaven. Originally constructed in 1895 as the Cohn Brothers Mercantile Store, the building had seen numerous other businesses come and go throughout its 116-year history. Renovations began almost immediately, including construction on the façade to bring the building back to what it originally looked like back in 1895. Lynch opted to keep some of the features of the building that made it unique, such as the antique heart of pine floors, 19th century skylight in the lobby, and the huge century-old walk-in vault reminiscent of the building’s days as a mercantile store. After eight months of construction, the Inn on Whitworth opened in November 2011, with seven luxury first-floor guest rooms. Despite its historic roots, the interior of the Inn on Whitworth more closely resembles a modern boutique hotel. Each room features thirteen foot ceilings and unique artwork by Mississippi artists Dr. Kim Sessums and Ed Williford, along with spacious modern bathrooms with glass walk-in showers, and either queen or double beds. Sleek, modern furniture and light neutral colors give each space a calm and polished look. Nestled in a secluded area, the inn’s “jacuzzi” room is the perfect romantic retreat. In 1999, Jimmy and his wife Theresa inherited “the old place.” By then the aging house had been abandoned for over 30 years. The couple vowed to restore it; however, they faced many challenges. The house had no central heat and air, no indoor plumbing, the original roughhewn log walls had no insulation, and the house still had the original electrical work that was installed sometime in the 1930’s. At some point during the renovation, a family friend suggested turning the house into a bed and breakfast. When it came time to name their new inn, there was no question what it should be called. In 2000, after a year of construction, The Old Place opened for business. The home, which sits on 43 acres, still features the original wood burning fireplaces in all the bedrooms and living room, original pine floors, original glass window panes, and original handmade bricks. Guests can enjoy a good book in the comfortable wicker furniture on the porch or partake in some “pet therapy.” There are plenty of animals living on the property, including sheep, donkeys, geese, horses, and two Great Pyrenees.